Why are independent courts rarely found in emerging democracies? This book moves beyond familiar obstacles, such as an inhospitable legal legacy and formal institutions that expose judges to political pressure. It proposes a strategic pressure theory, which claims that in emerging democracies, political competition eggs on rather than restrains power-hungry politicians. Incumbents who are losing their grip on power try to use the courts to hang on, which leads to the politicization of justice. The analysis uses four original datasets, containing 1,000 decisions by Russian and Ukrainian lower courts from 1998 to 2004. 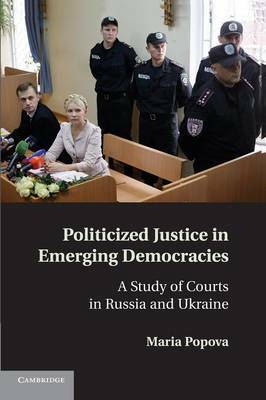 The main finding is that justice is politicized in both countries, but in the more competitive regime (Ukraine) incumbents leaned more forcefully on the courts and obtained more favorable rulings.